Here at Motorparks, you can find out about the new Peugeot iOn - a 100 per cent electric car that’s perfect for driving around even the busiest of city centres. This is a green vehicle that has an incredible range of 93 miles, while its lithium-ion battery can be fully charged in around nine hours using a 220V domestic plug socket or quick charged to half its capacity in just 15 minutes from special 380V recharging stations situated nationwide. 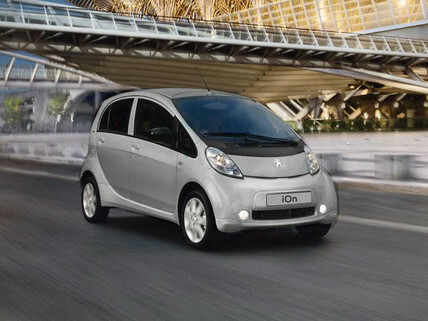 Automatic headlights and electric power steering are designed to make every drive aboard one of our new Peugeot iOn cars an enjoyable and relaxing driving experience too. It must also be mentioned that while the new iOn is compact in its design, its cabin is incredibly spacious and comes complete with adaptable luggage space and additional storage spaces so you’ll be able to fit more into the car than you think. 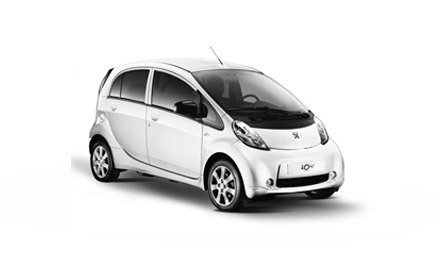 Find your perfect new Peugeot iOn from the selection available below and make an enquiry online today to learn more about this electric vehicle. Don’t forget that you can also visit our Peugeot Warrington Motors dealership to get a closer look at the car.